GOT TO DEAL WITH YOUR OWN CLEAN DRY PRODUCTION SCRAPS? 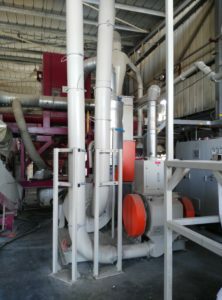 The solution for most plastic SCRAPS from a PRODUCTION line, as long as they are CLEAN and DRY, is an AUTOMATIC AGGLOMERATOR, requiring a SINGLE OPERATOR , LOW POWER CONSUMPTION , great SIZE REDUCTION rate. Immediately ready in Israel, coming with new spares for different configurations (Details here FR101).